opens at the Contemporary Art Museum in Raleigh, NC on Friday February 2 through June 10, 2018. 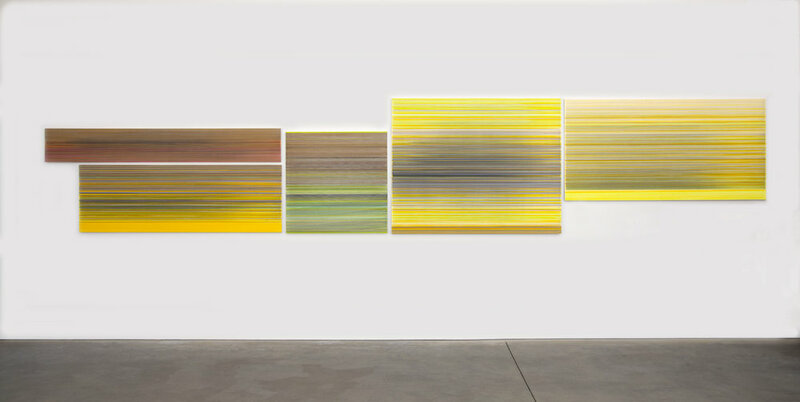 Anne Lindberg’s new solo exhibition the long sun brings light, materiality and rhythm to ruminations on the sun in context, eliciting qualities that are optical and spatial, emotional and tangential. Lindberg cites a long tradition of the relationship of deep thinking and creating to time spent walking – connecting this practice to Henri Rousseau, William Wordsworth, Robert Walser and Virginia Woolf. 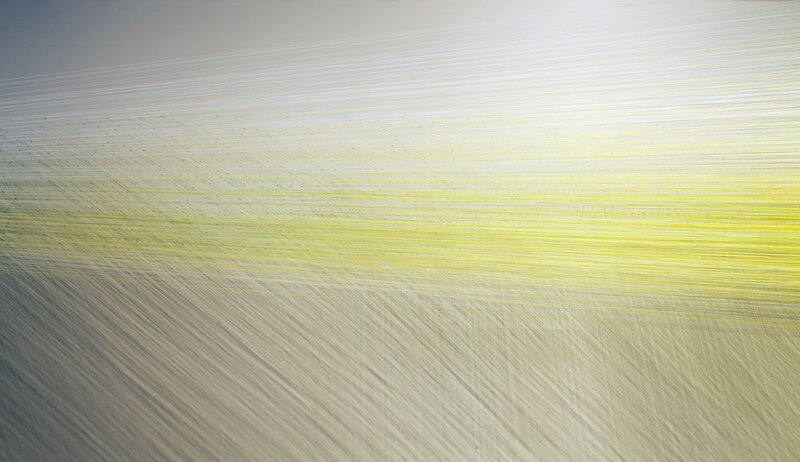 the long sun expounds on the seamless relationship between the pace of her step and the evolution of the work in both two and three dimensions. 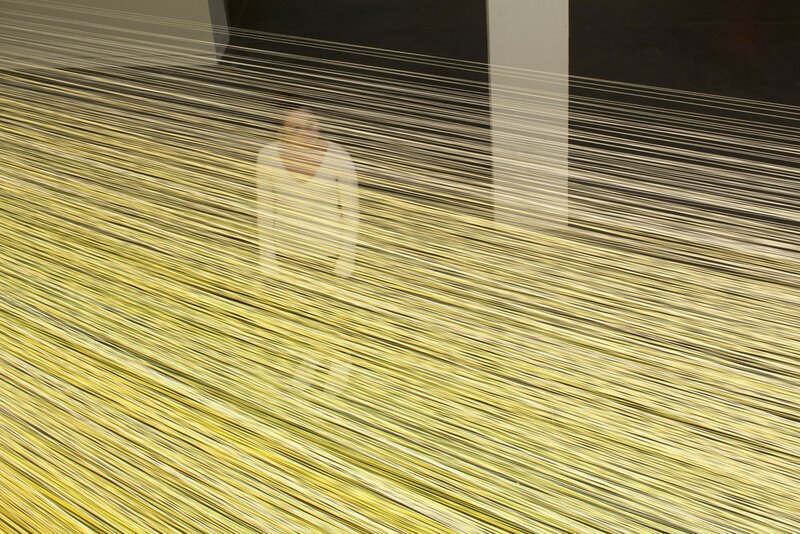 Thousands of lines are pulled across a pliant mat board and cast between walls while walking. This work carries with it a quiet reserve, emotional power, and formal abstraction, building a gradient light, with a slow and telling use of tone to find meaning. Lindberg studio time is a paced and daily conversation with place, in body and mind. 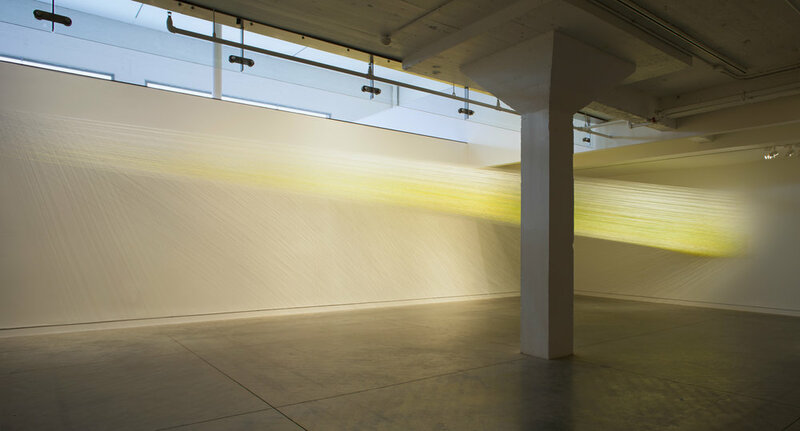 From her studio in the Hudson River Valley, elements of light, space, and time coalesce from this understanding. As this work generates fundamental questions about time, causality and sequence, Lindberg speaks in an essential way to the human condition. the long sun presents a visual and bodily experience that conjoins personal and abstract voices with a sense that alchemy can exist in everyday life.